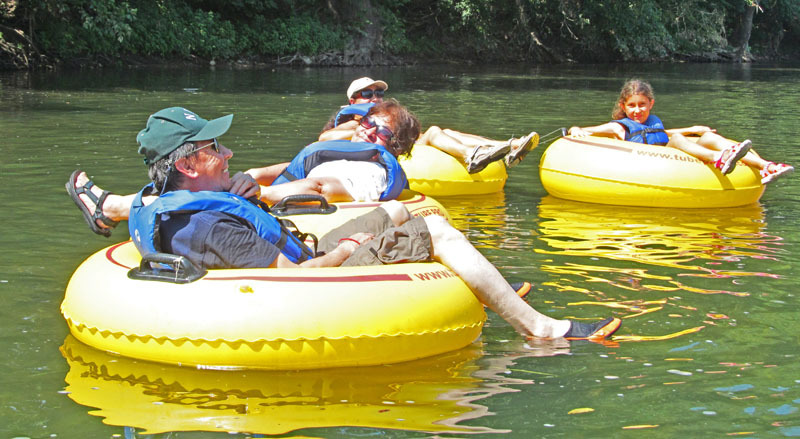 Tubing on the South Fork of the Shenandoah River–we offer what many call ” the best tubing trips on the Shenandoah!” and at the Best Price! There are two sections we use–based on water levels– that decision is determined daily by SRO. 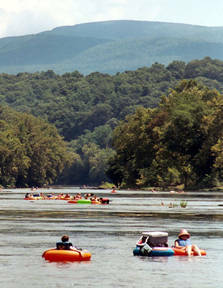 All trips begin with you checking in at the Outfitters store at 6502 S Page Valley Rd, Luray VA 22835. 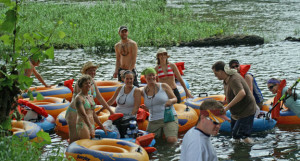 # 8 Bealer’s to #11 Foster’s–3 miles, takes around 3 to 4 hours depending on water levels, nice riffles, great scenery. We use this section when water levels are normal to high. #16 Seakfords to #19 Takes 4 to 5 hours. Spectacular scenery, limestone cliffs, deep pools (for swimming) and our class II Compton Rapid. We use this section when river level is lower. 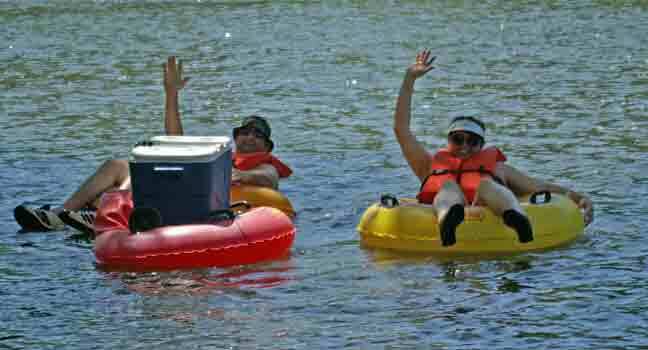 Tubing trips – Three Arrival Times! and 11:30 AM for the last trip of day. Last departure at 12 Noon. Rates: $22/person; $6 for cooler tube. 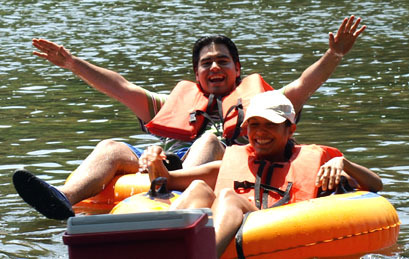 We provide the tube, life jacket and shuttle. 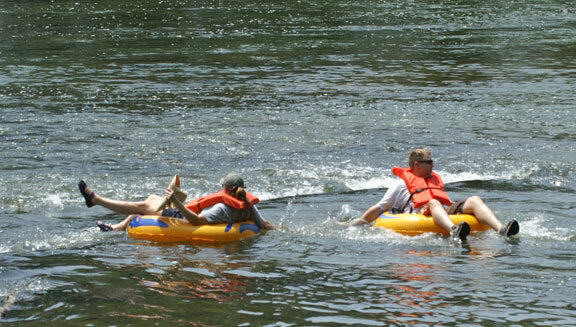 Tubing season is typically late May to mid-Sept. depending on temperatures. SATURDAYS AND SUNDAYS FILL UP QUICKLY SO MAKE RESERVATIONS. Reserve online 24/7. AGE LIMIT: 5 years or older. SHOES ARE REQUIRED! No Flip Flops. Virginia has ‘no drinking in public’ laws. We want everyone to be safe on and off the River. Alcohol and drugs can affect your judgment and your abilities can be diminished. 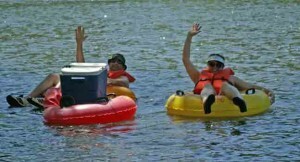 Virginia is taking a strong stand against drinking in public and while on the water. Open containers in public and in National forest boat landings can result in tickets/fines. We reserve the right to check coolers. Please use wisdom so you can enjoy the river and return for years to come. Please no glass on the river. Reserve online 24/7 or call in between 9-5. 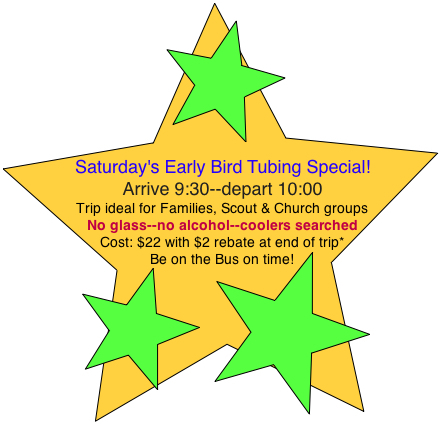 Saturday Tubing-Early Bird Special–just reserve your tubes and be here by 9:30 AM and on the Bus at 10:00! Get in front of all the others…. Directions All trips begin with you checking in at the Outfitters store at 6502 S Page Valley Rd, Luray VA 22835. Cancellation is 48 hours in advance for refund and will need to be called in to the Outfitters. 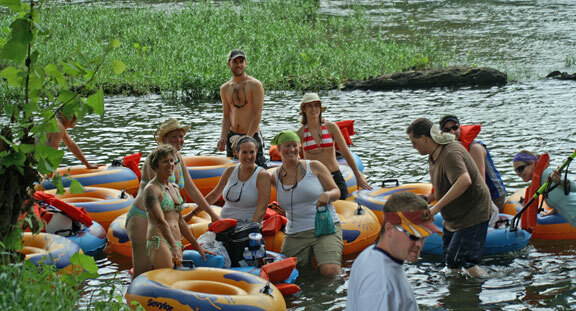 All trips are subject to change due to water levels. We go rain or shine.